This title is for anyone who lives in or visits Philadelphia, likes running or walking, or wants to get outdoors on foot more. For the committed athlete, it points the way to new and interesting training routes and events. For the less committed jogger or walker, it provides the motivation and know-how to get outdoors more and improve fitness. It describes the most enjoyable and interesting on-foot routes in the Philadelphia region, complete with detailed commentary and maps showing the features of most importance to runners and walkers, including mileages, restrooms, points of interest, and public transit. This guide was written by a husband-and-wife team, both runners, based on their personal explorations of all routes discussed, with the collaboration of several local runners. With forty-five illustrations, this title brings the Philadelphia running and walking scene to life. Finally, a book for Philadelphia runners! Way back in 2004, some friends and I realized that although there are books on cycling routes around town, there was nothing for running.So, we decided to fix this, and had meetings, wrote up some routes, etc., but we became too busy to fully pursue the project.Philadelphia Running and Walking fills this gap.It provides good support for those just starting out running and wishing to explore a bit, but I think it also appeals to the majority of recreational and casual runners. There aren't too many negatives.I thought that the selection of races that are listed in chapter 7 left out some important established races while including some very young or very small ones, but one can consult online calendars to find a race anyway.The other aspect was a few instances that display that the authors aren't local.For example, on page 23, FDR Park is actually not at all by the south end of Center City.On page 48, they say to forget an environmental center because they couldn't access it on the one Sunday they were there, when they ought to have run that route more than once. The bulk of the book revolves around various running and walking routes in the Philadelphia region, and is organized well.You've got multiple routes listed in geographic sections, giving helpful maps and some photos of the routes and surrounding attractions and amenities (such as bathrooms, water fountains, places to eat, etc. ).Routes are described in terms of four components explained on pages 4-5: comfort, attractions, convenience, and a destination; an at-a-glance chart highlights these components.Where appropriate, they mention SEPTA (public transit) and how it can get you to and from the route.They also throw in a nice bit of history and information on Philadelphia.I've been here over a decade and still learned something! In addition to the routes, they have chapters on running/walking in general, local races, and running clubs.It was nice to see my running club listed in that latter chapter, as well as in the index (I always like books to have an index for quick reference).This book was easy to read and provided plenty of good information.I recommend it. There is no greater exercise than what people do nearly everyday. "Philadelphia Running and Walking: A Guide for Athletes and Fitness Seekers" is a guide for Philadelphians who want to see their city up close and personal through exercise. Outlining foot routes through the city that maximize training or fitness, points of interest, running clubs of the area, and annual races, "Philadelphia Running and Walking" is a choice pick for the walking enthusiast in the city of brotherly love. As a longtime runner who moved to Philadelphia only a few months ago, I couldn't have a better companion than "Walking and Running Philadelphia. "As a resident of the Art Museum area, I've spent most of my runs traversing Kelly Drive; this book, however, has several more creative routes and has inspired me to get out and be more adventurous.The book has detailed maps and descriptions of ten routes, plus suggestions for several more: each of those ten routes is accompanied by a chart detailing the comfort (or, really, level of difficulty and accessibility) and convenience (proximity to parking and public transit) of each route, plus information about attractions and destinations nearby.Perhaps most valuable of all, the maps for each route note the location of public restrooms and water fountains, so it's easy to plan stops on runs or walks accordingly. Beyond that, the book lists more area running clubs than I was aware existed, and also has a list of major annual races and maps of the Philadelphia Marathon, Half Marathon and the Broad Street Run. 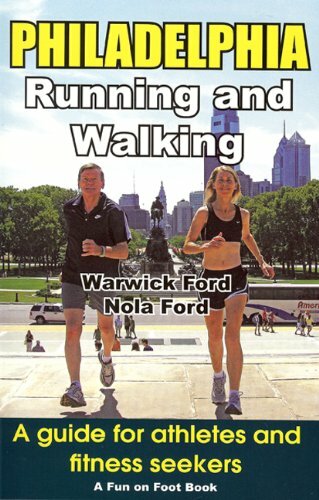 It's a great way to familiarize yourself fast with the local running scene, and to get in on the fun.All of that said, I don't think this is just a book for newcomers to the city or locals or runners; all of these routes would make excellent leisurely walks for visitors wanting to experience Philadelphia.With all of the information about not just routes but their surroundings, I would recommend bringing the book with you on such walks; though I don't think it replicates all of the information found in a more traditional guidebook, exactly, it's a great supplement and, being fairly lightweight, much more portable. I liked reading this book. it gave alot of good information. the only down side was that i bought it with Running and Fatburning for Women and the two books had many identical pages. and by many i'd say atleast 30 pages were identical between the two. once i read the first i blew through the second because so many pages were the same. so my advice would be to only get one or the other not both. I got this book today, Christmas, from my husband. I couldn't put it down and read the entire book. It was great to get some more information on running and how it relates to me as a woman. I ran in high school, but never did any long distances. I completed my first half marathon in June and LOVED it so much. I've been trying to figure out how to incorporate running into my lifestyle. This was a great book. I hope to be a runner for life and feel like this book gave me some new information and insight into how to do that!! 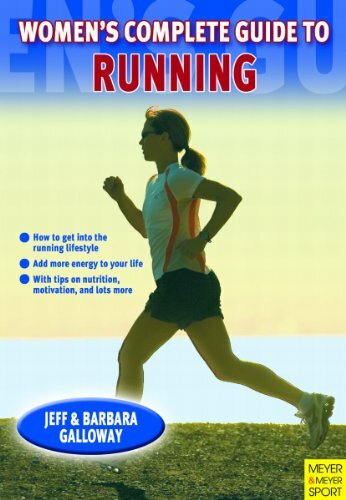 I bought this book for my daughter who is 15 and is just getting into running.She really liked the book and found a lot of usefull information in it.She did state that there is a lot of information in it for the post menaposal women which, of course, did not apply to her.Overall, It would be a great book for young and old. This is a great resource for the lady who is just starting to get into running, or would like to get into running.Has tons of great tips, and the walk/run method is great.Willhelp keep you injury free, so you can pursue the joys of running! I had a lot of hopes for this book from the title and the customer reviews.It started well enough with an account of the accident that led to his epic run.However,the book for the most part reads like a travelogue of the Grand Canyon and a history of the land,explorers,settlers and Indians that went through there decades and centuries before. I don't really care about all thehistorical detail. Frankly, it got to be very boring. Boring to the point I couldn't finish it. 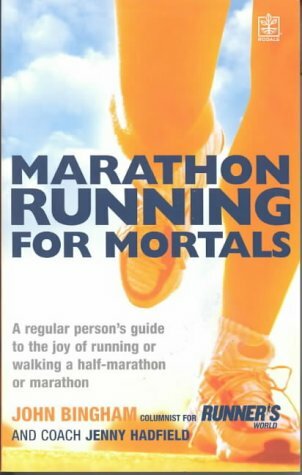 As a lifelong runner I'm always on the search for great running books,this definitely is one to avoid. I just could not get into this book.I am not exactly sure why, but I think I just could not identify with the author. 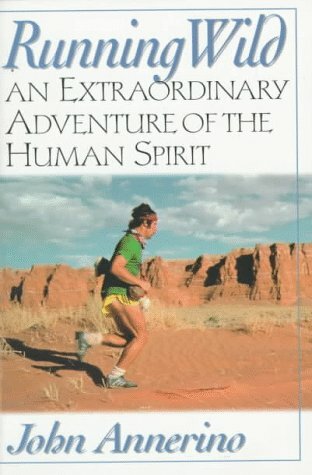 As a runner of 15+ marathons, a couple ultras and being an avid trail runner, I really wanted to love this book.Annerino is a compelling character, with great courage and anyone who has regularly run long distance on trail can see, a man who must have incredible commitment.The book however comes up short of where it could have.After the first couple of run descriptions, the rest merely become a repeat of lack of water, tough conditions, danger, exhaustion and route finding problems.Annerino frequently references that his motivation in running these routes is to gain information on how preceding Indian generations would have used them for trade, however with the exception of a small amount of info, that aspect is largely not covered in the book.It is a shame, as dedicating more print space to that objective would greatly enlivened the book.Overall, a good read and still recommended, but I can't go 5 stars. I first read "Running Wild" several years ago while recovering from a running injury and it not only gave me the confidence to come back from the injury but also became my running companion. I have since re-read it many times especially before an important race or when the reasons for training get blurry. For a runner it is a spiritual connection to the joy and mystery that running can be as well as historic proof of the origins of American running. John Annerino is an incredible man whose courage and love of the wilderness together with his deep spiritual committment to the land, it's history and it's people make "Running Wild" a masterpiece. For serious runners, weekend joggers, or occasional power walkers, here is the ultimate running guide to the Atlanta area, written by a veteran runner with an intimate knowledge of the city's streets and byways. 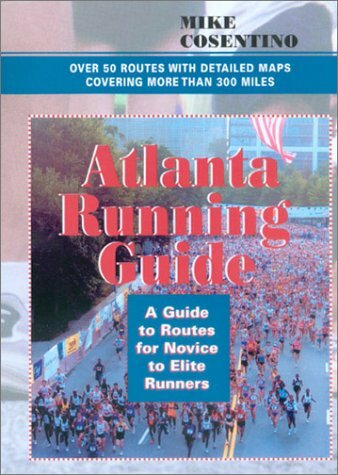 The book features over forty runs throughout the metro area including three major race routes. The routes are grouped by region with detailed information for each course, including distance, terrain, hill factor, nearby attractions and landmarks, parking, and public transportation. A brief overview of each route is also provided. Generally a good guide, but . . . I wonder if Mike has ever actually been to Stone Mountain.The roads and sidewalks are anything but "predominately flat" or "lightly traveled" on weekends.The terrain is nothing like the Silver Comet Trail. Overall, the routes are good and well described, but some of the information is incorrect, and there are a few areas where I would not run.There are safer places to be in the Atlanta area than downtown, Grant Park, and Westview Cemetery, especially if you are female and alone. This is a good guide if you don't know anything about Atlanta. I picked one run out of there to do my first 8-miler about a year ago. It was the long loop around stone mountain. The book listed it as "flat," and it is anything BUT! There are hills around the whole thing! Also, the loop is supposed to be 8 miles, but it is actually about 7.2. All in all, it's a pretty good book, but some information can be deceiving. 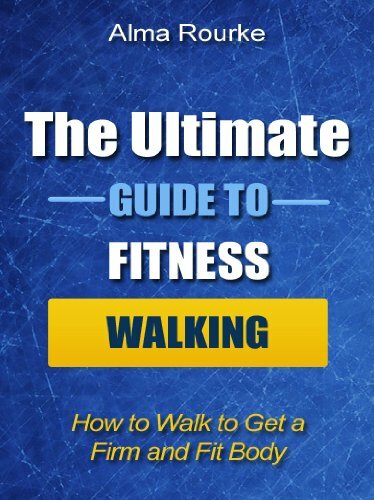 Fitness walking is an excellent way to do this; however, without the right tools and information, it could take you years to figure out the secrets to successful walking fitness. Instead of spending a fortune on so-called experts or knocking yourself out with the old trial and error method, there is an easier way to learn how to fitness walk the way you’ve always dreamed. A few years ago, after a health scare, I knew I needed to get in better shape. Fitness walking seemed to be a great option; however, I didn’t have a clue where or how to start. With my health on the line; however, I knew I had to do something. What I discovered completely changed the way I approached walking fitness! Now I walk for fitness all the time and love every minute of it. I would love to share my secrets with you and my new book on walking fitness does just that! --What Equipment Do I Need? 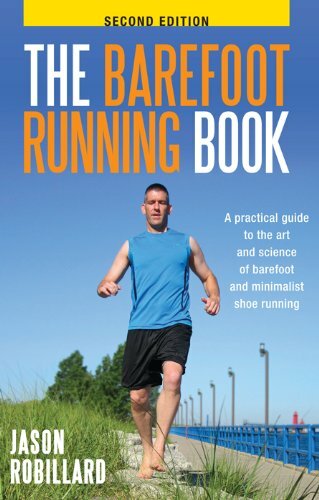 While I think that there are some good tips in the book on how exactly to get started barefoot running, at 61 pages, it's more of a pamphlet than a book.The price is a bit high for what you're getting. How much is the publisher and marketer paying you all? OMG! 61 pages total! This book is as thin as my barefoot running minimalist shoes! And nothing new or special in it. This book would probably never be sold at bookstore.You could just finish reading it while you sip your coffee. I recently received a copy of Jason Robillard's "The Barefoot Running Book" in the mail and was excited to see what this experienced barefooter had to say on the topic. I heard of Jason previously through both of site, Barefoot Chronicles. Jason is also an active poster on the Runner's World Barefoot Running forum. The book is short but full of informative information. It's written clearly, and the author injects humor here and there, making it more than just a boring textbook. Barefooting is supposed to be fun anyways, right? After introducing himself, Robillard discusses the very basics of running barefoot, including taking it slow, listening to your feet, and just having fun doing it. Coming from a Pose Method background ([...]), I do differ with the explanation of how to run, but he still does a good job of explaining the most important concepts, which are that of the leaning from the ankles and pulling the foot off the ground. Besides that technical area, I thought he does a great job of explaining different drills you can do and reminding you to relax when you run. While it's important to keep your core active and tight, people get nagging injuries due to shrugging their shoulders, plantar or dorsi-flexing their ankles, or just remaining too rigid in the knees throughout the whole stride. The book's "Concepts" sections are well thought out, the drill "Activities" are all extremely useful, and the "Issues" sections address well-known problems that newbie, and experienced, barefoot runners face from time to time. Robillard provides sections for all skills levels, from beginners looking to run a few miles to racers eager to set new PR's, and to people who'd like to get into barefoot running on trails where there are more hazards than when running on pavement. The book definitely accomplishes its goal of introducing barefoot running to the uninitiated, and it's length and humor keep it accessible to adults and children alike. I highly recommend it if you are interested in learning barefoot running, as it inspires you to just get out there and go! Informative and easy to read basic and to the point. Writer happy to share his information. You could tell by the way he wrote. After reading Born to Run: I went out and ran for 11 minutes barefoot on grass. I came to a crashing halt at 11 minutes. The reason, I didn't know really how to start. I figured I'm fit from swimming so I should be able to do it. It was so effortless too. I was loving it. After researching around for some videos and info I found this ebook. I downloaded the sample which was a decent chunk I liked what I read so I bought it. Using a Dell Streak 5 inch Tablet. Its great as a little ebook. Well it seems the advice is go very, very easy in the beginning. Its muscles we don't use so be careful. Tonight I tried the barefoot walking exercises as suggested. Well it was a lot of fun out the back and most helpful really. I understood better about this lift that's spoken about instead of pushing off the foot. So its day one for now. I need to recover my calf muscle for the rest of the week due to the earlier run I did without reading up about it. Seems funny to learn how to run again barefoot. But its important to take it very slow, even for seasoned runners.